Open communication among board members is key for many organizations, yet senior living facility leaders often face challenges with achieving this goal. Most board of directors are made up of a diverse team of members that brings expertise in various aspects of the organization’s business, so keeping the lines of communication open has a direct impact on your board of directors management, as well as ensuring everyone understands who is in charge of which decisions. This is particularly important during a major capital investment initiative, like a building project. For a board to directors to effectively oversee a building project, members need relevant planning information and progress updates to help identify project-level risks, the probability of a negative event occurring, the estimated impact if it does occur and potential mitigation strategies. Boards are there to strategically direct management for success and growth—overwhelming members with data puts them in the weeds and off the strategic path. Provide members with the key information points they need to make informed decisions. Unfortunately, there sometimes is a disconnect within organizations regarding what information is useful for the board of directors. For example, some managers prefer providing board members with as much information as possible to avoid lack of transparency. Yet, board members often say they prefer information presented in ways that highlight the key issues to stimulate discussion and debate. This could lead to less transparency and neither party’s objectives really being achieved. Knowing what information is useful to your board members is critical. Ask them what is relevant, and what is overwhelming. Keeping the discussion open and honest will help you clearly communicate the project goals and status and help avoid any unnecessary meeting preparations. 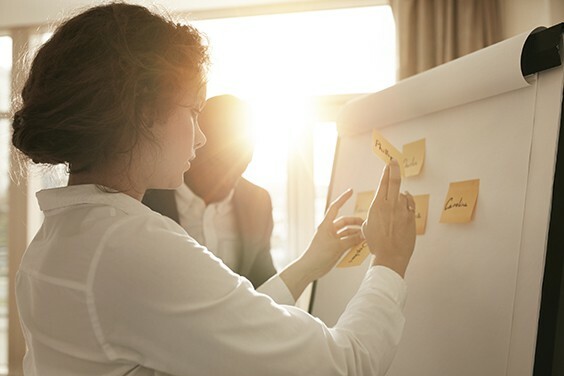 In a PricewaterhouseCoopers (PwC) survey, directors report that they would like to spend more time on strategic planning—and capital projects (like new building projects) are frequently the realization of that strategy. Starting a building project with input from your board of directors up front will help keep the team engaged and excited about the future development of your facility. Regular status updates on the project will also keep the lines of communication open, allowing for well-informed decisions throughout the project. The use of outside subject matter experts can support executives when an unfamiliar business opportunity or situation arises. Not everyone is an expert when it comes to building codes and senior living construction trends, so tapping into these experts can help clarify and provide reassurance to the board of directors as your building project moves forward. At Community Living Solutions, our team helps bring a seamless transition from architectural and strategic planning processes through construction and completion. Our clients work with us because they view us as a trusted advisor. We earn trust through open, honest communication and standing by what we do. When we begin the strategic planning process with a client, we start by gathering data and holding focus groups with board members. During this session, we ask, “What will make this project a success in your eyes?” By doing that, we capture all the ways board members define success—more often than not, each one defines success differently. We then track these success measures throughout the project to ensure we are meeting expectations. We’re at your side through decision making and follow through, building consensus among your board of directors and key stakeholders. In other words, we’ll help guide you through board of directors management for your building project. If you’re looking to start your next senior living construction project, contact us for a free consultation or call the Community Living Solution team at 920-969-9345.